We aim to provide an exceptional post-sale service to all of our clients at a reasonable cost. Most of our auctions are conducted on Saturdays and our Call Centre (telephone 01928 579032) is open on the day after the auction (Sunday) from 9.00am to 4.00pm so that our clients may pay for their lots and arrange for shipping if required. A team of packers ensures that all lots are packed on Sunday and Monday, and despatch is normally completed within 24 hours. The Client Services Department is also open from 11.00am to 1.00pm on Sunday for clients who wish to collect their purchases in person. 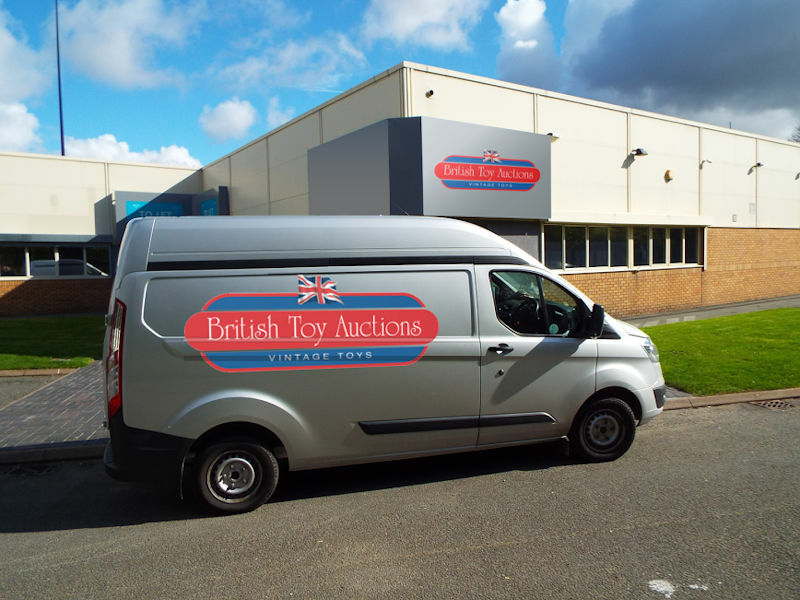 British Toy Auctions is also open on Monday and Tuesday from 9.30am to 5.00pm for payments, collections and shipping, and all transactions MUST be finalised no later than close of business on the Tuesday following the auction. Absentee Bidders may pay for their purchases by BACS (electronic transfer), Debit Card or Credit Card (there is a small surcharge for payment by credit card). Please note that we are unable to accept card payments for amounts in excess of £200. Clients purchasing lots via an internet facility (e.g. the-saleroom.com) normally have payments taken from the registered debit or credit card automatically following the auction. Please pay for your lots no later than close of business on the Tuesday following the auction. Details of late-payers and non-payers are shared with other auction houses and live internet bidding sites. Shipping is normally undertaken by UPS although some small packages may be shipped by Royal Mail. For Packing and Shipping of very large items, we are able to recommend a number of specialist door-to-door couriers at reasonable cost. Please ask for a quotation before bidding.